Amazon has 500 Assorted Halloween Stickers for only $7.64! PLus you ca nget FREE Shipping on orders over $25. These stickers would be great to hand out to all your Trick-or-Treaters this Halloween. 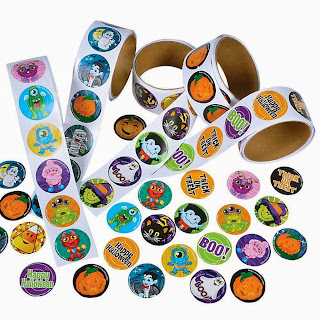 A variety of Halloween themed stickers on a roll. Each roll contains 100 stickers. Each unit contains five rolls totaling 500 stickers.